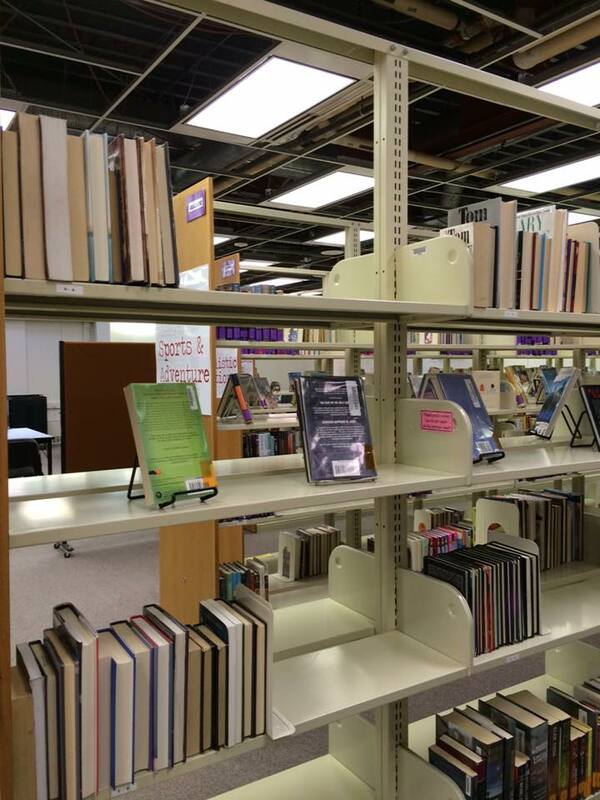 We had some fun in the library this April Fool’s Day. 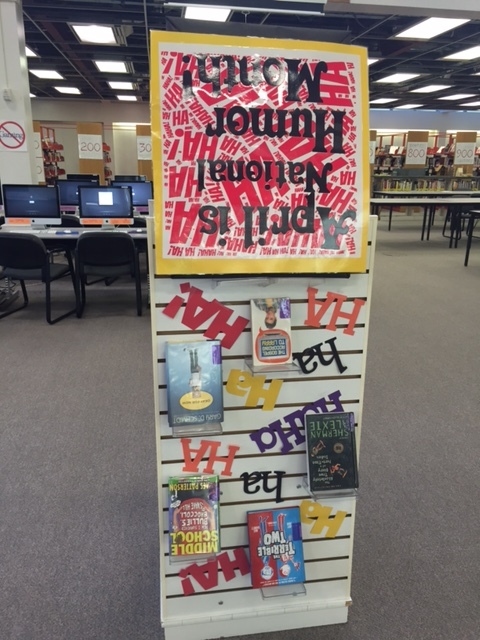 First we created an upside down display of humor books, which we will leave up through the month of April. Second, we turned every title in the mystery section backwards, but a child with OCD tendencies turned them back around before 2nd period. That prank was a bust! Third, we set out a foil covered pan with a sign that said, “Help yourself to some free brownies!” When students peeled back the foil, they found dozens of letter “E” die cuts on brown paper. This prank has been around a while, and many students didn’t fall for it. It turns out that the best prank of the day was done to us! 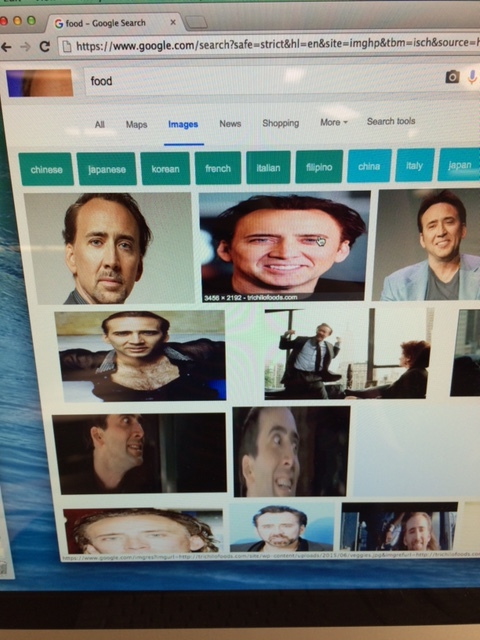 A student changed the settings on an entire row of library computers so that Chrome users saw a picture of Nicholas Cage in place of every image. (If this happens to computers in your library, it’s an easy fix: go to the Chrome –> Settings –> Extensions and delete the nCage extension.) 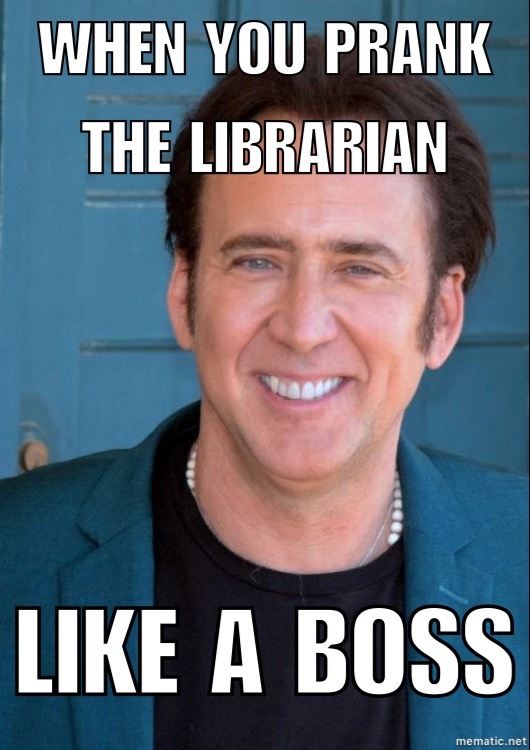 We were good sports, and a teacher made us a meme for the occasion! It definitely made us chuckle… Happy April Fool’s Day!